Our Biggest and Best Look at Mexico Ever! 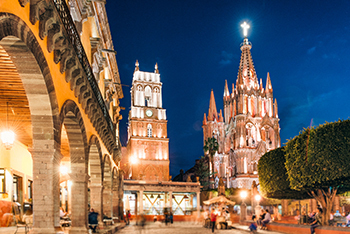 With International Living's Fast Track Mexico Recordings Package, you'll discover dozens of the country's best destinations—beaches, highlands, colonial cities, resort towns, and more—where your retirement can be carefree and affordable. The first thing you notice is the colors. Cobalt blue skies and turquoise waters…blindingly-white sand beaches. Waterfalls of purple, yellow, and magenta bougainvillea tumbling over ancient stone walls. The intoxicating richness of Mexico comes at you slowly and sweetly on busy city streets lined with stylish condos, designer shops, ritzy restaurants, artsy hotels…and along the cobblestone roads of small towns that weave past hardware stores, bakeries, cantinas, modest homes, and taco stands. Life is lived with passion, in plazas and parks, in mercados and shopping malls, in wealthy colonias and poor barrios alike. A quick smile, a kind gesture, a big heart, quiet determination…these are the threads that weave the colorful, intricate fabric of Mexico. There's a saying here. 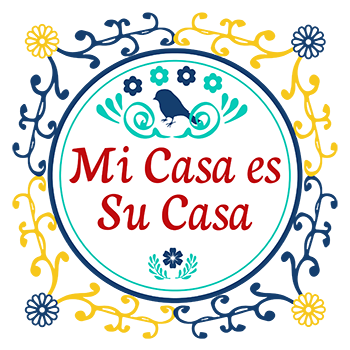 "Mi casa es su casa." My house is your house. What's mine is yours. It's a sentiment that's heartfelt. Mexico's doors are open. You are welcome to share la buena vida—the good life—here. Maybe this is why more U.S. and Canadian expats have chosen to live in Mexico over any other country. They feel welcome here…safe and protected…far from the uncertainties of the rest of the world. In Mexico, you can be happy. Thanks to today's currency exchange of the strong U.S. dollar against the peso, you can live a very rich life on a very low budget in Mexico…as little as $1,400 for a single to $1,800 a month for a couple, including your rent and a health plan. I'll show you a detailed monthly budget in just a minute. I think you'll be amazed at how little things cost. Rent, food, utilities, entertainment, household help…you really can live a very rich retirement in Mexico on a modest income. My name is Dan Prescher. There's no place like Mexico. I know that to be true. In the last two decades, I've lived in five different countries. And something keeps pulling me back to Mexico. If I had to tell you in one sentence what Mexico means to me, I'd say "It feels the way a home should feel." Comfortable. Relaxing. Safe. A place where people really care about you. If you're close to retirement age, as I am, there are many reasons to consider Mexico. One of the most important is that it's one of the three countries that make up North America…You won't have to travel far to get there. There are hundreds of flights every day from the U.S. and Canada to dozens of cities in Mexico…most of them will get you there in just a couple of hours. And especially if you're of retirement age, you'll appreciate the top-quality, affordable healthcare you'll find. The cost of a visit to the doctor? Just $17! I had a full blood panel and lab work for $80…an MRI for $250. My friend Joe had surgery to place a stent in a coronary artery. He raves about the care that he got…before, during and after the procedure… And in Mexico, it cost him 1/10th of what he estimates he would have paid back in Oregon. Another friend credits his doctor in Guadalajara with saving his life after he was diagnosed with cancer. Easy injections of a drug known to be effective, but not yet approved by the FDA, and a deeply caring doctor made all the difference, he says. In my own case, every time I've had to call for a doctor's appointment, if I mention it's urgent, I'll get in immediately…typically within 20 minutes. The cost of an office visit? Just $17! I had a full blood panel and lab work for $80…an MRI for $250. And the taxi to take me an hour away to Guadalajara, wait while I have the MRI, and take me back home? Just $50! The tests were all at state-of-the-art facilities, by the way. Very thorough but so affordable you can pay out of pocket and not think twice. And yes, you can get full-coverage low-cost insurance plans in Mexico…a private plan with a $1,000 deductible, for instance, might cost you $2,000 to $3,000 a year. With your resident visa, you'll qualify for a free public healthcare plan (imagine that!) if you're over 60. I'll share more about healthcare in Mexico in a minute. It's an important piece of the puzzle if you're looking to retire overseas. And it's one that Mexico delivers on in spades. But first, there's another point I want to make. Choosing a place to retire…or a place to really live—better than you ever expected—shouldn't just be about the low cost of living or the great healthcare or even about the gorgeous scenery and the great climate. No, choosing the perfect place for you to call home all comes down to you. What are you looking for? What do you need? What do you want? I'd suggest you look for a place that delivers a total package…a place that hits on all cylinders and ticks off every single box on your wish list. That's what Mexico is to me. And I think it can be your perfect place, too. If you couldn't attend the International Living Fast Track Mexico Conference in person this year, we understand. But the Fast Track Mexico Recordings Package- video recordings of every one of the 42+ presentations at this conference—is the next best thing. These videos will be an invaluable research resource for you, and they may very well pay for themselves. One tip you can't get anywhere else…one piece of hard-won advice…one expert recommendation…can potentially save you tons of money and lots of headaches as you plan your own visit to Mexico. You can order your Fast Track Mexico Recordings Package now for a fraction of the cost spent by those attending the conference in person. This recordings package will introduce you to dozens of reliable experts…attorneys who can help you with visas, property purchase and rental contracts…healthcare and insurance professionals who can explain all your many healthcare options…real estate experts…moving and shipping resources…tax experts…veterinarians who can reassure you about pet care, and many others. Yes, you can legally own property in Mexico. Don't let anyone tell you that foreigners can't legally own property in Mexico. That's just not true. You can own it in your own name, just like in the States…or in a corporation…or via a safe government-sanctioned legal vehicle called a fideicomiso. All these options and more will be covered in our Fast Track Mexico Recordings Package. Did you know Mexico has a retiree discount program that offers many valuable benefits and can save you lots of money? In your Fast Track Mexico Recordings Package, you'll also discover all the details about Mexico's INAPAM program. Once you turn 60 you're eligible to join and you'll get money-saving discounts on a range of goods and services including food, medicines, transportation, recreation and leisure activities…even your property taxes and some utility bills. And for sure, the videos will introduce you to plenty of expats from Mexico's very best expat destinations. They'll show you the communities they love…and share all the details you need to decide if it could be right for you, too. Who knows, maybe one day soon you'll be their neighbor. If you've ever wanted to discover, once and for all, if Mexico is right for you, make this recordings package your top priority for 2018. You'll walk away with all the knowledge and contacts necessary to make your move to Mexico with confidence. And you'll have the tools in hand that will help you put your plan into action. I'll share details about the recordings package in a moment and explain how to order . But first, I want to introduce you to some of the great destinations that you'll want to know about if you're considering making Mexico your home…the destinations we'll cover in depth. Lake Chapala is where I live with my wife, Suzan. Just south of Guadalajara, Mexico's second-largest city, this may be the world's easiest overseas retirement destination. Suzan and I lived here early on, back in 2002 and now we're back…we just can't find a better, prettier, or more welcoming community… Everything you need is here, and because people from the U.S. and Canada have been retiring here for generations, almost all the locals speak English and many services (especially medical and dental) cater to older expats. Suzan put together this brief video to help you understand why the Lake Chapala area is home to the world's largest community of foreign retirees. If beach living is more your style, but you want all the trappings of a culturally rich city, I'd suggest you check out Puerto Vallarta. With the Fast Track Mexico Recordings Package, you'll discover how remarkably affordable it can be to live in this romantic Pacific Coast city. This is the town put on the map by Richard Burton and Liz Taylor back in the 1960s—and for good reason. You can't help but fall in love with pretty Puerto Vallarta…one of the only historic colonial cities right on the water…with cobblestone streets and bougainvillea tumbling over adobe walls…but with a modern, sophisticated vibe. Nightlife and live music, theatre, art galleries, and gourmet restaurants…it's all here. Will you, too, fall in love with romantic Puerto Vallarta? You can spend your days doing any kind of water sport…fishing, kayaking, snorkeling, or just lazing on the beach in the sun with a cold cerveza or margarita—just $1 at Happy Hour—and a couple of shrimp tacos for a dollar each. Or head just outside the city, north or south, to popular towns like Sayulita and to picture-postcard-perfect hidden beaches and crystal-clear waters that you may have all to yourself. Of course, Mexico has nearly 6,000 miles of coastline. Something for every beach lover. From small surfing and resort towns like Huatulco and exciting Cabo San Lucas at the tip of the Baja Peninsula where the Sea of Cortez meets the Pacific Ocean, we'll share insights to the beach towns and coastal areas you might want to explore. Some of Mexico's best beaches, of course, are along the Caribbean Coast in the area called the Riviera Maya that stretches from Cancun south to Tulum. There are plenty of towns here to choose from, from Cancun to Puerto Morelos to Playa del Carmen, Akumal, Tulum, and more… We'll introduce you to all of them when you order the Fast Track Mexico Recordings Package. You'll hear from Don Murray, who lives in Cancun with his wife, Diane. They chose the Riviera Maya because, as Diane says, it makes her feel like she's "sparkling from the inside out." It doesn't hurt, they say, that their cost of living is just $2,500 a month…and that includes the rent for their three-bedroom oceanfront condo. Here's Don to tell you more. Don and Diane also lived in Merida for a while, as Suzan and I did. It's a city we'd happily return to. The capital of Mexico's Yucatan state, this is an old-world charming but modern city. Built atop a Mayan temple, in Merida you'll find centuries-old colonial homes, churches, and grand buildings. It's the third-largest Spanish colonial district in the world, after Havana and Mexico City. It's been used as stand-in for Havana on movie sets. You can buy an old colonial style home here—in need of restoration—for as little as $25,000 to $50,000. Or get one that's already been renovated, with original colorful pasta tile floors, vaulted wood-beam ceilings, and a walled outdoor courtyard—for just $110,000. Just 45 minutes north of Merida is Mexico's Flamingo Coast and that's where you'll find the country's best oceanfront real estate bargains, where a three-bedroom home right on the beach can be had for $150,000 or less. But if more temperate climates are what you're after, head for the colonial highlands. Charming, culturally rich San Miguel de Allende, where daily temperatures average in the low 80s, is one place that deserves your attention. San Miguel is consistently named by travel magazines as one of the world's most beautiful cities. For several years, including this year, it was named as the "best city in the world" by Travel + Leisure. You'll find a vibrant cultural scene in this city, home to artists, authors, poets, musicians, and more, as well as great restaurants and lively nightlife. San Miguel is simply gorgeous…and it's Mexico's top domestic tourism destination. International Living editor Jason Holland agrees with all the accolades. He lives in San Miguel with his wife, Liz, and two young sons. See what Jason has to say about life in Mexico. Maybe you're sensing a pattern here? International Living's top editors and correspondents have all chosen Mexico…for all the reasons we've been discussing, and more. Mexico is convenient, easy, the weather is great, and it's so affordable… I am certain you'll find the ideal place for you…one that delivers on all your lifestyle requirements and then some. Guanajuato is another place well worth a look. It's where Glynna Prentice lives. She's International Living's Mexico editor, and she's been traveling far and wide in Mexico on your behalf for the last decade. 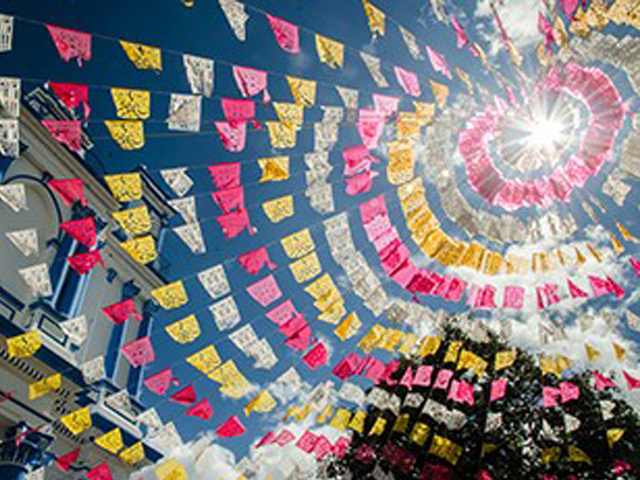 Every October, the International Cervantino Festival—the most important artistic and cultural event in Latin America—is held in Guanajuato, drawing artists and performers from around the world. Here's Glynna to explain what she loves about her life in Mexico. When you watch the videos in the Fast Track Mexico Recordings Package, you'll see Glynna share more of her insights about Guanajuato, the city she calls home. And the coastal town of Ensenada and the rich, fertile Valle de Guadalupe, Mexico's answer to California's Napa Valley where you'll find award-winning vineyards, olive groves, and more that thrive in the Mediterranean-like climate. The new public healthcare program, called Seguro Popular, is free if you're over age 60. I don't know of anywhere else in the world where you can get this level of care…for free. As a former healthcare industry consultant, this topic is something she's well versed in. And remember, she's chosen to live in Mexico. A big part of that is because of the state-of the art but affordable medical and dental care you'll find here. Just to give you an example: With your resident visa, you'll have the option to use both the public and private healthcare systems. Or join the new public healthcare program called Seguro Popular. It's free if you're over age 60… I don't know of anywhere else in the world where you can get this level of care…for free. You'll get all the details in your Fast Track Mexico Recordings Package. As I've said, there will be lots of expats on hand, too. If you've ever wondered what daily life is like in Mexico, you'll get all the answers. Finding the place that's right for you…healthcare and insurance plans…confidently buying and renting property…shipping your household goods…(easy to do when you move to nearby Mexico)…banking, taxes, immigration and visas…all this and more will be covered. This is the first Fast Track Mexico Conference International Living is hosting in Mexico…our biggest, best, most detailed look at one of the world's top retirement destinations. And you have a chance to get your hands on every nugget of wisdom and advise shared at this groundbreaking event when your reserve the Fast Track Mexico Recordings Package. Ok… I promised to share some real-world cost-of-living info with you. Take a look at this chart. Of course, costs will vary according to your personal circumstances. You could spend more…or less. If you pay outright for your home you won't have any housing costs at all beyond some maintenance and upkeep. You may not need cable TV. If you live in the highlands, you probably won't need heat nor air conditioning, a big savings on utility bills. My own costs for these same utilities last month—minus phone costs but including DirecTV—came in at less than $60. When it comes to your internet and communication costs, you may see some variances there as well. The good thing is that communicating between the U.S. and Mexico has never been easier or more affordable. You can use your U.S. cellphone plan in Mexico with no extra international voice or data costs. Even from your Mexico landline you can call the U.S. for free these days. That's a big deal—so convenient and a huge cost savings. I have a U.S. cellphone plan—with no extra international voice or data costs. Even from your Mexico landline you can call the U.S. for free these days. That's a big deal—so convenient and a huge cost savings. Communication between the U.S. and Mexico has never been easier or more affordable. But keep in mind if you like to eat out frequently, travel, play golf, scuba dive, and the like, you'll obviously spend more money. Still, all these costs are far less than you'd spend for a similar lifestyle in the U.S. It's really easy to live really well on a modest budget. You'll likely have enough to splurge on things like spa treatments. A manicure, on average, costs just $5 to $10… A woman's color, cut, and style typically costs just $40. Someone to clean your house might charge you $15. You can hire a gardener for $5 an hour. Home repairs, car repairs…all cost very little, thanks to low labor costs. With what you'll save by living in Mexico, you can afford to travel more and treat yourself to all those things you've been looking forward to in retirement. So are you ready to learn more about how you can find out, once and for all, if Mexico is right for you? If you've ever dreamed of owning a home on the beach or with a mountain or lake view…or a sprawling hacienda-style ranch or a gardener's-delight acreage, you're in luck. 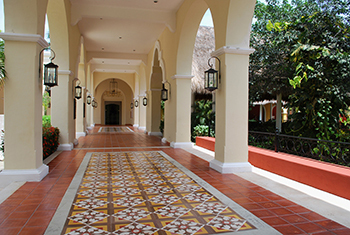 You'll find jaw-dropping low prices for both rentals and property purchases in Mexico. At Lake Chapala (where I live), a new 2-bedroom, 1.5-bath home with a mirador (rooftop terrace) with stunning lake views is selling for about 1.4 million pesos…or just $71,500 U.S. dollars. It has an open living/dining area and a community pool where you can watch gorgeous sunsets over the lake. A fully furnished 2-bedroom condo in the gated community where Suzan and I've been living—also with a lake view is on offer for just $130,000. There's a heated community pool and Jacuzzi here, too, as well as a library, game room, fitness center, and more. (HOA dues are a reasonable $200 a month and that includes 24/7 concierge staff.) You can rent here full-time for just $750 a month. Even in trendy San Miguel, you'll find big bargains. In the Los Frailes neighborhood (where Suzan and I loved living some years back), a beautiful two-bedroom home (also with sunset views of Presa Allende, a lake on the edge of town) features an open courtyard with a fountain, gorgeous terracotta tile floors and lots of natural wood throughout. A den could be enclosed for a third bedroom. This one is a steal at just $169,000. Rentals are reasonable, too. A one-bedroom nicely furnished casita, walking distance from El Jardin, San Miguel's main plaza, rents for just $650 a month. The charming Caribbean-flavored city of Mérida is another place you'll find huge bargains. In the central historic district, most popular with expats, a sweet 2-bedroom/2-bath home (once part of an original historic colonial) has been completely upgraded while saving the original colorful pasta tiles. Hurry—the price has been reduced to just $62,000. Another completely renovated colonial—with an amazing façade and, again, those fabulous, colorful pasta tiles—is selling for just $69,000. As you'd imagine in a city with such reasonable property prices, it's easy to find low-cost rentals as well. I've seen nice furnished rentals (that I'd consider myself) as low as just $300 to $400 a month. I could go on and on…right on the beach on Yucatan's Flamingo Coast, I've found a 3-bedroom/2-bath fully furnished condo, steps from the water, on offer for just $83,000. A large covered balcony overlooks turquoise waters…there's even a huge community pool. You can rent a furnished home here…with a pool…for as little as $670 a month. 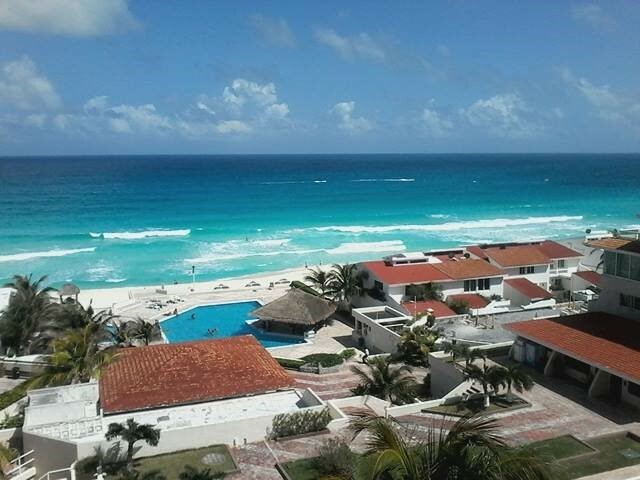 This is the view from Don's master bedroom, he rents his furnished penthouse condo in Cancun for just $1,000 a month. Even in a resort area like Cancun you'll find reasonable rents. Don Murray (I introduced you to him earlier) rents a three-story, completely furnished penthouse condo right on the beach on the southern edge of the hotel zone. He has a birds-eye view of the glorious Caribbean Sea from his master bedroom. The guest bedroom and living room look out to the natural beauty of the turquoise lagoon. His rooftop terrace offers a 360-degree view of all of it. There's a pool, too. For all this, he pays just $1,000 a month! If you're looking for a vacation or investment property with outstanding rental yields, you'll want to see what they've uncovered: Stunning condos in one of the world's most popular, in-demand tourist destinations for just $154,600 that can gross as much as $27,979 in annual rental income. 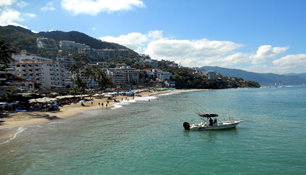 And you'll find similar bargains in trendy Puerto Vallarta on the Pacific Coast, in Cabo San Lucas at the southern point of the Baja peninsula, and many other destinations we can point you to. My advice: Go now to take advantage of real estate bargains and all the other money-saving and life-enhancing opportunities available to you in today's modern, welcoming Mexico. The best expat communities in Mexico for easy and affordable expat living, where you can quickly settle in and start enjoying life right away. Your best resident visa options. There are several to choose from, but which is best for you? How many years do you plan to live in Mexico? Do you want to work? Or import your car? We'll discuss the options in detail in the Fast Track Mexico Recordings Package and ensure you get the visa that's right for you. All the details of how to safely purchase real estate. Legal processes and titling options are a bit different in Mexico and having the right guide to those is invaluable. Mexico's best attorneys will be in the house to help you work through all the options that are best for you when it comes to immigration, property purchases, and more. If you had to pay for their time individually, well…even in affordable Mexico, you'd rack up a big bill. But with the Fast Track Mexico Recordings Package, you'll have direct access to these attorneys and other professionals. We'll also provide guidance about shipping your household goods and driving your car to Mexico… Should you? What documents do you need, where do you get them and what do you do with them? This is the kind of insider information you'll get when you order the Fast Track Mexico Recordings Package. We'll clarify the import rules, explain how much cars cost should you decide to buy one in Mexico, whether or not you'll need a local driver's license and how to get one…and much more. And we'll offer the inside line on what to expect in the way of taxes, both at home and in Mexico (not much, thankfully) …and much, much more. Importantly, you'll discover how to save money when you live in Mexico. With the Fast Track Mexico Recordings Package, you'll get all of the best insider tips and insights from dozens of experts with decades of experience in Mexico. Here are just a few of the experts who you'll hear from in this video recordings package. Remember: they're not just presenting their topics. One of the primary benefits is that they'll share their first-hand experiences of living in Mexico and introduce you to the communities they live in…places you'd likely never visit as a tourist. As International Living's Mexico editor, Glynna will share her favorite spots for good-value living in Mexico…some inland, some coastal…and more than a few places you've likely never heard of before but are well worth your consideration. For more than a decade, Glynna has been living in Mexico, first in seaside Campeche and now in the charming central highlands city of Guanajuato. She'll bring her experiences and insights to the table and help ensure that you're on the right path when you move to Mexico yourself. 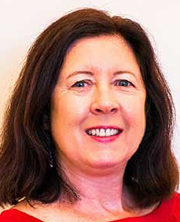 As Senior Editor for International Living for nearly 16 years now, Suzan has traveled extensively in Latin America, searching for the world's best and most affordable lifestyle opportunities. She has lived in Ecuador, Mexico, Panama, and Nicaragua, and currently lives in Mexico's Lake Chapala area. Suzan will explain why she's returned to Mexico, as well as about the general benefits and challenges of expat life. Jason had the benefit of living overseas from an early age. His father worked for the U.S. government in Turkey, Germany, and Spain. Jason was born in Madrid and spent most of his childhood in Spain. Today, he lives with his wife, Liz, and two young sons in San Miguel de Allende. Sense a pattern here? The majority of International Living's long-time editors have chosen Mexico for their home base. 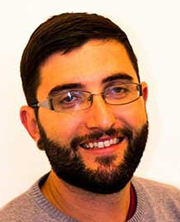 With the Fast Track Mexico Recordings Package, Jason will help you understand exactly why that is. Don Murray and his wife, Diane, live in Mexico's Riviera Maya where they enjoy Caribbean beach life. A Vietnam veteran, Don eventually ended his military service in Alaska. He then spent over 20 years in The Last Frontier, flying small bush planes, operating a commercial hovercraft and raising two sons. He and Diane first retired to Ecuador's northern coast for a couple of years before making their move to Cancun. In addition to his writing assignments for International Living, Don and Diane also operate a Dental Tourism business in Cancun. 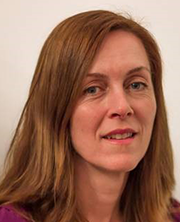 Born in Ireland, Margaret has spent her most of her adult life living outside her home country. She now resides in the Casco Viejo neighborhood of Panama City, Panama—and from there she travels extensively in her role as Managing Director for Pathfinder, International Living's preferred real estate advertising partner. She's logged hundreds of thousands of miles traveling in Central and South America, scouting new properties, and new opportunities, off the beaten track. Founder of the Warren Hardy Spanish School in San Miguel de Allende, Warren's guidance to Mexico and the Spanish language is invaluable. 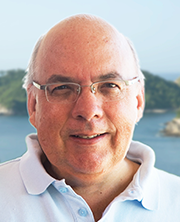 His specialty is helping expats quickly and easily get up to speed speaking Spanish—and he gears his programs specifically for older learners. He'll help you understand why it's important that you're at least a functional Spanish speaker when you live in Mexico…and he'll show you some tricks to make it far easier than you imagine. 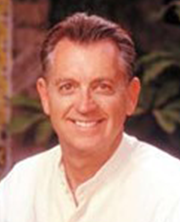 Winton Churchill, who lives in Mexico and splits his time between San Miguel de Allende and Huatulco, is founder of the Barefoot Consultant an international training and consulting company that can help you make a living from anywhere in the world by tapping into your own skills and career experience. "By taking charge of their earning power, the baby boomer generation now has the power and access to put their skills and abilities on the global market regardless of where they live or work now," he says. And of course, you'll hear from me, too. 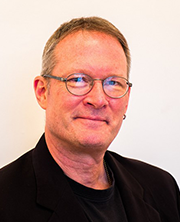 I'm Dan Prescher, and as special projects director and media director for International Living, I've traveled all over Latin America researching and writing about everything from deserted beaches to bustling world-class cities where life is good and costs are low. 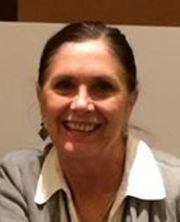 Along with my wife, Suzan Haskins, I'm a four-country expat and I look forward to sharing with you some of the reasons Suzan and I have returned to settle in Mexico. And yes, you'll be introduced to many other professionals… attorneys, medical care specialists, veterinarians, insurance providers, real estate professionals, business experts, and more who will address your more specific "nuts and bolts" issues of relocating to Mexico. Can't travel to warm, sunny Mexico yourself right now? This video recordings package is the next best thing. There will also be plenty of expats from every corner of Mexico who will share their stories with you. They left the U.S. or Canada for a variety of reasons…but for sure to escape high costs of living and frigid winter temperatures. To a person, they've found the American dream alive and well…still in North America, but in Mexico. 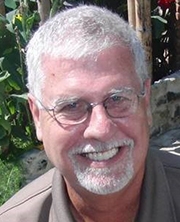 They'll tell you the unvarnished truth about life in Mexico…the good, bad, and the not-so-good. Believe me, this information is worth its weight in gold. You'll come away with a well-planned, streamlined course… an action plan that will have you quickly on your way to your new, more satisfying life in Mexico. If you've wondered or worried about how you might ever pull it all off…making a move of this type…worry no more. Think about it. Try to gather this information on your own, and you'll spend thousands of dollars, and months of your time. Knock on doors, search the internet, sit in lawyers' offices, and hang out with real estate agents, it would be impossible to assemble the body of knowledge that we've pulled together for this recordings package. It's a good investment of time and money for anyone who's considering making a life in Mexico… well worth every penny you'll pay. The full price to attend the International Living Fast Track Mexico Conference was $1,195. However, you can secure a copy of the Fast Track Mexico Recordings Package for only $424…a mere fraction of what attendees paid to join us. And with these videos, you'll have a distinct advantage over those attending the conference in person: You can watch the videos at your leisure…skip around to the presentations that interest you most, take notes… And more importantly, you can access them as many times as you like, so you don't miss a thing. We want to make all this valuable information as accessible as possible for you. Your FREE Bonus: And when you order the Fast Track Mexico Recordings Package now, we'll send you one of the most valuable reports about Mexico we've ever developed. This report can save you boatloads of time and money when you move to Mexico. It's called Your Dream Retirement: Six Mexico Destinations Where You Can Live the Good Life for Less, and it was created specifically to deliver actionable information and real examples about life in Mexico and details about why it's the world's top retirement destination. 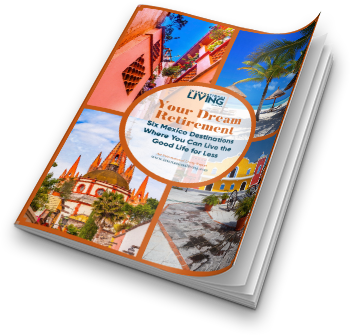 No matter your budget or lifestyle, you'll learn how you can live the life of your dreams in the best expat and retirement communities in Mexico. You'll know which regions interest you, what kinds of amenities and benefits you'll find and how much it costs to live there. And you'll have a very good idea of the communities you'd like to explore. To get this report in your hands as quickly as possible, we'll send it electronically to your email inbox as soon as you order your Fast Track Mexico Recordings Package. Order now and receive your free report. It's an incredible bargain for two-and-a-half days of information-packed presentations from reliable experts and expats ready to share their firsthand experience. Plus, don't forget, you'll get a $100 voucher toward any of our future conferences anywhere, any time. This Fast Track Mexico Recordings Package will provide the content to fit your needs. This will be the deepest, broadest, most in-depth look at Mexico that we've ever presented and we've put it together to satisfy International Living readers like you who've expressed an interest in discovering more about Mexico, one of the world's best retirement destinations. P.S. Don't let anything stop you from acting on your dreams. You can take that first step now, today. Order now and take advantage of this vastly discounted price. Why not give it a try? You've got nothing to lose and your money back is guaranteed if you are not satisfied. So act now, while you can grab the lowest price available.